The earliest pioneers of scientific socialism—Karl Marx and Frederick Engels—did not philosophize about what socialism and communism would look like in detail. Nor did they discuss how long it would take to transform society from capitalism to socialism. No one, Marx included, took this as a literal forecast of what communism would look like. It was seen rather as a way of illustrating the division of labor that future communist societies would inherit from the preceding class society. Instead, Marx and Engels devoted much of their work to creating an outline of economic development based on a thorough analysis of capitalism. Their goal was to determine what a new society could look like, as opposed to earlier socialists who tried to dictate what society should look like. Marxism, as scientific socialism is known today, begins with the struggle between antagonistic classes in society. The class struggle has taken different forms throughout history, from the struggle between slaves and masters in ancient Egypt and Rome to the struggle of serfs against landlords in feudal Europe. By the time Marx and Engels were writing, the classes had become even more widely separated. The overwhelming majority of working people were forced to labor daily in order to meet their basic needs, while a tiny minority reaped more and more profit from the exploited classes. 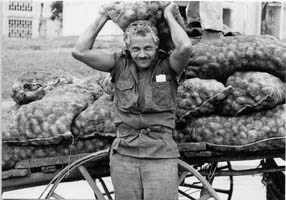 The working class, which was growing in size and social weight, represented those of the exploited classes that had to sell their labor power on a daily basis in order to survive. This condition continues today. At the heart of the Marxist conception of the socialist revolution is a dialectical understanding of social change: History evolves according to laws of motion governed by the conflict of opposing forces, with the outcome depending on what has come before. In particular, socialist and communist society can come about not by will or by design alone, but as the result of overcoming capitalist society through revolutionary struggle. It was in the “Critique of the Gotha Program” that Marx was most specific about what he could discern about the future socialist and communist society. The first task, he wrote, was to smash the capitalist class’ state apparatus—the dictatorship of the bourgeoisie—and replace it with the dictatorship of the proletariat. The working class would need a period to repress the efforts of the former ruling class to regain political power. What was unique about the workers’ state was that it sows the seeds for its own elimination or transformation from a state to a non-state. As the state representing the interests of the vast majority, for the first time in history, the workers’ state would gradually reduce the mechanism for class repression—first, by eliminating exploitation that gave rise to the need for a state. This first step, though, requires the creation of generalized equality through the elimination of material scarcity. Under the new socialist order, the growth of the means of production, to the point where society’s abundance eliminates the individual struggle for existence, allows for the gradual withering away of the state. It is a process rooted in material advances, not a decree or edict, that abolishes the state. This is a huge step forward from life under capitalism. Under capitalism, workers receive less in the form of wages than the full amount of their labor. The owning class appropriates a share of the value produced by the laborer in the form of private profit. Nevertheless, Marx pointed out that this lower phase of communism is still an unequal economic arrangement—that it is still based on the “bourgeois right” of formal equality, or political-economic equality among unequal people. For example, this formal “equal right” enforces inequality of people with different needs. It does not take into account the number of children in a workers’ family, for example, or the physical or mental capacity of the worker. There are further inequalities between skilled and unskilled workers and mental and physical labor. The reality of inequality also endures because individuals in bourgeois society are profoundly stratified at the time of the revolution. For example, millions of people in the United States own large homes—sometimes more than one—and have large savings and assets. An even larger number have next to nothing. Unless the workers’ state was to immediately expropriate the assets of what is known as the “upper middle class”—an act that would cause immense social turmoil following the revolution—this facet of inequality will remain for some time. Equal payment for labor performed, while a huge step forward, does not eradicate the vast inequality that is derived from the bourgeois society. Lenin spent a significant portion of “State and Revolution” clarifying the Marxist conception of the withering away of the state. In particular, he pointed out against the reformists that the capitalist state does not wither away—the capitalist state must be uprooted in the course of workers’ revolution. But under socialism—after the revolution—the need for the state as a repressive apparatus gradually changes to an administrative organ for running society. Against “bourgeois right,” the new society will be able to develop the productive forces to such an extent that the inequalities in society can be overcome. Lenin wrote those words in 1917, on the eve of the first socialist revolution the world had yet seen, in the former Russian empire. He, with Marx and Engels, had only the experience of the two months of the Paris Commune on which to base their analyses. Thanks in great part to the practical experience of Lenin in making revolution, 21st-century socialists have a wealth of experience on which to base further conclusions. Marxists have been able to use accumulated theory and practice in order to lead revolutions in Russia, China, Korea, Yugoslavia, Cuba and many other countries. While there have been vast differences in the experiences of those socialist revolutions, they share one common feature: The socialist revolutions of the 20th century took place in countries where the level of productive forces was very low compared to the imperialist countries. Every successful revolution faced the primary task of developing their economies—while under constant military threat by world imperialism. For that reason, Lenin described the challenges of building communism in 1920 in very practical terms: “Communism is Soviet power plus the electrification of the whole country.” There was no hope in building socialism if the economy remained underdeveloped. Because of the combined challenges of developing the productive forces under the gun of world imperialism, no socialist revolution has yet reached a stage where the “withering away of the state” could be imagined. Imperialism has seized on any weakness in the revolutionary states in order to foment counterrevolution. Nevertheless, the working classes in the countries that have set out to build socialism have made tremendous gains. Russia’s working class in 1917 was 4 percent of the population. Within 50 years, it was the second-most powerful economy in the world. China had never been able to feed its entire population prior to the revolution. Millions died during famines in China prior to 1949. Yet after the 1949 revolution, for the first time the economy was able to feed the largest population in the world. Despite immense pressure from imperialism, Cuba has been able to achieve tremendous gains—despite the collapse of the Soviet Union in 1991. Cuban workers enjoy among the highest living standards of any of their counterparts in Latin America or much of the oppressed world. The continued military and economic dominance by world imperialism—first and foremost by U.S. imperialism—has made the transition to socialism that Marx and Lenin described so far impossible. The workers’ states have needed to devote a considerable part of their social development toward the strengthening of the proletarian dictatorship—the army and police—in order to defend against invasion or counterrevolution. Taking that next step will require a society based on the dictatorship of the proletariat in the United States. 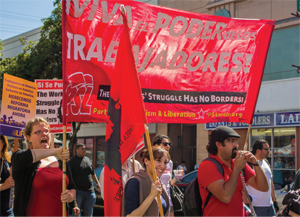 Toppling the world’s dominant capitalist power would not only lift a tremendous burden from the workers around the world who are trying to engage in socialist construction. It would put at the disposal of the world working class the tremendous wealth produced by the U.S. working class. All the social wealth extracted from the oppressed world by U.S. corporations and mines could be used to reverse the effects of centuries of colonial and imperialist exploitation. A revolution in the United States would undercut the economic basis for divisions among the working class that promote racism, sexism and homophobia. Socialism is a system of peace, justice and equality. The road to socialism begins with revolution in the United States.